With all the endless commentary and chatter about the need for the institutional Church to be restructured, renewed, reformed or “re” whatever, it is always good to be reminded of the essentially mystical quality of the Church and of her integral part to the plan of creation and the Incarnation. Perhaps this is what Pope Francis is getting at when he says that the Church must not become too “self-referential” or “navel-gazing” while insisting that “you cannot understand the Church without her motherhood” (Vatican City, 8 May, address to plenary assembly of the International Union of Superiors General). In any case, Balthasar’s orthodox but speculative theology helps raise the mind and heart to a more breathtaking and beautiful vision of Christ, the Church and the pivotal role of Mary inthe response to salvation. All credit to Fr Campbell for his exposition. Nevertheless, the speculative and non-systematic nature of Balthasar’s theology does leave some ambiguities – ambiguities which are presumably rooted in the overlapping and necessarily exhaustible analogies of the Church as both “body of Christ” and “bride of Christ”. 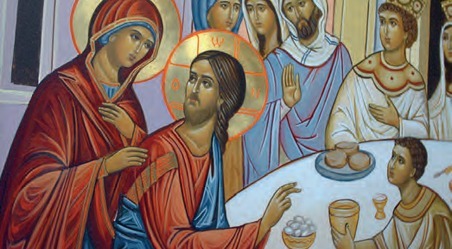 What does Balthasar mean, for example, when he says that the Church is a collective subject who has a single consciousness in Christ (analogy of the “body of Christ”) and at the same time says that in the fiat of Mary the Church receives “her fundamental and constitutive feminine dimension” (Fr Campbell’s words)? Which way round is it? Do we primarily participate in the mind or collective consciousness of Christ as members of his body (the masculine/bridegroom dimension) or is our participation more akin to the fundamentaland constitutive feminine dimension in the role of Mary (or bride dimension)? Presumably, in some mystical sense, we straddle both. Balthasar obviously argues for an analogical, archetypal and ontological priority of the Marian dimension. But if so, how can she be primarily the presence of Christ in the world – the continuation of the Incarnation (the body of Christ) upon earth? Surely the constitutive element of the Church must be the presence of Christ under his initiative and not the free, albeit grace-inspired, response of “the bride”. Father Galbraith is quite right to point out that the speculative and non-systematic nature of Balthasar’s theology does lead to some apparent ambiguities and difficulties in interpretation. However, for Balthasar the Marian character of the Church is everywhere. This character moulds the Church both in terms of her being as such and also in terms of the life of her members, and is rooted in Mary’s yes in the chamber of Nazareth (Annunciation). For Balthasar the purpose of the Church is to enable the believer, through grace, to participate in her normative subject, Christ, the centre of consciousness and entry point into the divine. We do this as a collectivity of subjects (the Bride of Christ). Fr Galbraith is right to assert that the constitutive element of the Church must be the presence of Christ under his own divine initiative. But even for Balthasar this element cannot be separated from the fundamental Marian theme. For Balthasar, just as God-made-man dwelled in and came forth from the womb of Mary, so He now dwells in and comes forth from the womb of the Church. The feminine/Marian Church is the environment from which Christ chooses to remain present in the world. This presence of Christ in history, through the Church, takes place pre-eminently through the concrete Christological constellation of theological persons that Christ forms. At the apex of this constellation is Mary. “The Marian fiat, in its truly unlimited availability, is, by grace, the bridal womb, matrix and mater, through which the Son of God becomes man, and thus it is by this fiat that he also forms the truly universal Church” (Office of Peter, 206-207). Your editorial (July/August 2013) makes the valid point that we must not allow a reformist agenda to masquerade as a subtle attack on the papacy and the essential truths of the faith. It is further argued that obstructing the work of the Curia could be interpreted as an act of disloyalty to the Pope. I would hope that diocesan clergy would not accuse a fellow priest of disloyalty to his bishop if he criticised his financial secretary. Obviously the Roman Curia bears a heavier responsibility because, as Pope Paul VI stated: “It is that instrument needed by the Pope for the fulfilment of his mission.” But instruments that have been honed over the years take on a life of their own; unlike UK civil servants they have a much more ancient lineage. They can enhance the authority of the Pope even as they enhance their own (Pope Francis has spoken about careerism), or they can argue that “things are done this way”. Today’s Curia is a much larger animal than before. The numberof members has risen from 185 in 1900, to 1,322 in 1967, to 3,146 in 1977. The Pope has to dominate the Curia in the same way that a minister must command his department. As the Curia has multiplied this has obviously become a problem. The role of the department of the Secretary of State needs to be examined as it is the largest, and exercises control over other dicasteries. A certain independence between departments is necessary, with co-ordination provided perhaps by a committee of Cardinals, such as those established by Pope Francis. This would tighten curial discipline and put a stop to the squabbling and an end to the aura of financial chicanery (an investigation is already under way). 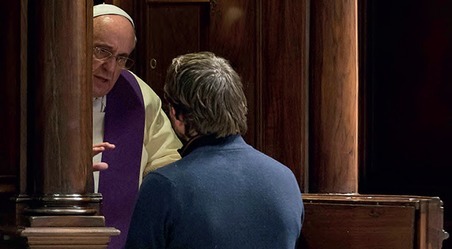 It would also provide a better liaison between Rome and diocesan bishops, supporting their efforts and strengthening them in their communion with the universal Church under the successor of St Peter. We thank Father Tolhurst for his letter and agree with the concerns he raises: the appearance of “squabbling” and “the aura of financial chicanery”. Regarding the reforms necessary to deal with these issues we stand by the text of our editorial: “The details of any such reform should be left to those with sufficient experience and the requisite competence.” Father Tolhurst also raises the issue of criticism of the Curia. Constructive criticism is surely good, and if it is offered in a spirit of real charity the individual concerned will be able to discern the best forum for airing it. However, we do think there is a distinction to be made between criticism and “obstructing the work of the Curia” – the phrase we used in our editorial. We would also go further. One must of course be realistic about the human dimension of the Church, but to nurture an antagonism towards “that instrument needed by the Pope for the fulfilment of his mission” must in the end be subtly detrimental to one’s faith. Even if one does not actually obstruct the Curia’s work we would question how up-building it is to one’s own faith (and how helpful it is to those who have been entrusted to our pastoral care) to greet every initiative or document coming out of the Curia with instant suspicion. The clarion call of Pope Francis since his election has been “a poor Church of the poor”. But what exactly does this mean? And is this phrase more then a mere tautology like survival of the fittest? Archbishop Nicholas at a recent conference of Caritas Social Action Network (June 2013) threw his mitre into the mix and says that we should embrace Pope Francis’s poor Church. But who are the poor and what is a poor Church? Does it mean that we should become Catholic puritans and throw away all the gold and silver chalices and ciboria? Or does it have a deeper spiritual sense? For St Francis of Assisi, it seems clear that the Church of the poor, or poor Church, did not mean melting down chalices and ciboria. St Francis was told to rebuild the church not throw the baby out with the bath water. Indeed, St Francis saw no problem with the Blessed Sacrament being held in the richest material that human hands could accord the sacred true presence of Christ. He would be aghast at the corruption of his words today, which suggest that the Blessed Sacrament should routinely be housed in poorly made or enhanced tabernacles (often hidden from view), or in wooden or ceramic ciboria or monstrances. Yes, the true richness of the Church is found in that sublime gift of Christ, Himself that He gives to us. Any desecration through act or omission, or any lack of respect such as a failure to genuflect, caused St Francis immense pain and fired his zeal in reforming those who would disrespect the True Presence. So material richness when used to display the richness of the true presence of Christ is not a problem. The Gospels appear to prioritise the salvation of the poor over the rich. The Church, after all, exists solely to lead humanity to salvation. If we can help the material comfort of people on the way, so much the better. But as the final canon of the Code of Canon law confirms, the salvation of souls is the prime law of the Church. Indeed, the so-called wealth of the Church is geared to providing the social and health care and education of millions around the world, especially in the developing world. It could not do that if had no temporal resources to call upon. I think it’s important to apply Catholic social teaching, but not to allow it to be rendered meaningless through tautologies such as a poor Church of the poor. As Mother Teresa stated when she visited western countries, although we may have immense wealth there is deep spiritual poverty. The Gospels tell us that it is easier for a camel to go through the eye of a needle then for a rich man to enter the kingdom of Heaven. Perhaps Pope Francis is calling us to rediscover the beatitudes, particularly “Blessed are the Poor in Spirit for they will inherit the earth”. We are all essentially poor as without Christ we have no wealth. We should avoid mottos and tautologies and instead we should strive for the salvation of all, rich and poor alike. For us Christians, poverty is not a sociological, philosophical or cultural category. No, it is a theological category. I would say, perhaps the first category, because God, the Son of God, abased Himself, made Himself poor to walk with us on the road. And this is our poverty: the poverty of the flesh of Christ, the poverty that the Son of God brought us with His Incarnation. A poor Church for the poor begins by going to the flesh of Christ.